Things Out Of The Ordinary: Are Religious Countries More Likely to be Poor? Are Religious Countries More Likely to be Poor? I have pondered on this all my life, but I think about this more these days. Are religious countries more likely to be poor? 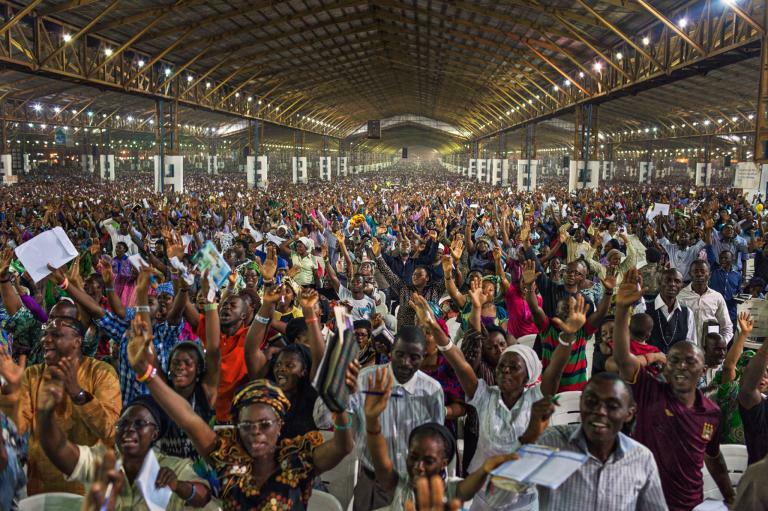 Why do we have the most churches, the biggest churches, and the most prolific pastors in the world in our dear country, Nigeria, and yet a large portion of our population languish in poverty? While a country like France which has majorly atheists citizens is so beautiful and well developed, with inhabitants living way above poverty level. Why? Is it that 'God' prefers to bless the non-religious people, living the religious people to suffer? I know a lot of religious people that follow all the doctrines in the Bible, and yet are as poor as church rats. But the richest man in the world, Bill Gates an Atheist? Why? The truth is, if you prayed from morning till night, 7 days a week, 4 weeks a month, 12 months a week, and another man doesn't go to church at all, but works diligently with a good heart, and dedication to his craft, he would come out ten times more successful than you- FACT! This is the problem with countries that have 'over-religious' people inhabiting them. They believe God would do everything for them, so they spend most of their time praying and in church, instead of at work. And this decelerates the growth of any People, cos work and individual thinking develops a nation and not prayers. Of cos you can balance the two- work and religious activities, but often times in African countries, the latter is always on the higher side. This leads to people waiting for a miracles, divine favors, unmerited favors, and the likes. So, think about it- If everyone got unmerited favor, who would do the actual work? You do know that unmerited favor means getting favor for something you don't merit...It even sounds wrong and I wonder why there is always a thunderous AMEN when pastors pray that prayer point in churches. I did a Google search of the most atheist countries in the world, and came up with these names- Netherlands, China, Sweden, Australia, France, Denmark, Czech Republic, etc. And I did another for most religious countries and I got- Nigeria, Ghana, Niger, Malawi, Guinea, Kenya, Peru, etc. I don't need to point out the set of countries that have its populace living better lives. So, what could be the reason? Could it be that less religious people are more likely to find a way out of their problems instead of depending on God for everything, thus becoming more developed and self sufficient than those that depend on God for everything (to the point of mental laziness). As I said earlier, there should be a balance, so I am not saying you should become an atheist if you want to become rich and successful. But, you should not have the belief that praying alone would get you unmerited favor and a better life. Statistics has shown this rarely ever is the case. Of cos, there are always spiritual/universal laws that control the physical realm, but those laws are universal and not exclusive to any one religion.